Heald, the Yorkshire-based manufacturer of hostile vehicle mitigation (HVM) systems, is currently celebrating a double success achieved during The Manufacturer’s Digital Manufacturing Week which took place earlier this month. With an entry in The Manufacturer* Top 100 List and a win at The Manufacturer MX Awards (run in partnership with the Institution of Mechanical Engineers), this dual recognition is testament to a record year for Heald which has seen revenues at the company increase by 60% by dint of the business increasing its distribution networks in the USA, Europe and the rest of the world. At a ceremony held at the Exhibition Centre in Liverpool, Heald’s managing director Debbie Heald MBE was named as an Exemplar in The Manufacturer Top 100 List (ranking in the Top 20), having been identified as an inspiring leader and someone who drives cultural change within the manufacturing industry. This prestigious list showcases the most inspiring individuals in industry to illustrate the enthusiasm and commitment present in modern manufacturing. Heald was also awarded a surprise win during The Manufacturer MX Awards. Having been named as a finalist in the Export category, Heald was crowned winner of the Progressive SME Award (sponsored in 2018 by Innovate UK). This category was open to all finalists, with Heald being announced in top spot following an in-depth review process which included a presentation before a Judging Panel. Commenting on Heald’s success, Debbie Heald MBE told Risk Xtra: “I’m incredibly proud to be named as an Exemplar in the Top 100 alongside some of the UK’s manufacturing greats. I’m also extremely proud of the Heald team who play an integral role in the success of the business and help to drive forward innovation in manufacturing. To be awarded the Progressive SME Award is testament to their hard work and dedication”. Success with The Manufacturer comes shortly after the company secured a double award win at the Yorkshire Post Business Awards where Heald won the Turnover up to £10 million Award, while Debbie Heald MBE took home the Leadership Award. The full programme has now been announced for the upcoming ‘Manchester Security: Safe and Secure for Business’ seminar, which will focus on providing businesses in the North West with valuable insights into current security issues facing the region. The event takes place on Thursday 29 September at St Ann’s Church, St Ann’s Street, Manchester M2 7LF. Doors open at 8.30 am. Refreshments and breakfast snacks will be provided and there will be opportunities to network before and after the event, which is due to end around 11.00 am”. SelectaDNA and GJD are sponsoring the event and their crime prevention products will be on display. The event is organised by Manchester City Centre Crime Prevention Panel with the support of Greater Manchester Police, Manchester City Council and Atmaana Business Consulting. Delta Scientific, the manufacturer of counter-terrorist vehicle control systems, has announced that its HD2055 barrier which will stop a 15,000 pound (66.7 km) vehicle travelling at 50 mph (80 kpm) has just met the criteria of the United States Department of State for continuous operations of one million cycles. The HD2055 solution was tested from February this year through until July. Testing was conducted in an external setting with exposure to full sunlight and the effects of climatic conditions. Cycle rate on the barrier was four per minute. Upon impact, the barrier remains in its foundation and the opening stays blocked, providing a multiple hit capability. In its M50 crash test, the HD2055 completely disabled the test vehicle, causing severe damage to the occupant department and power train. The maximum penetration recorded was less than zero. The P1 penetration rating was given because the penetration beyond the protected side of the barrier was less than 1.0 metre at the lower leading edge of the test vehicle’s cargo bed. With its 24-inch (61 cm) shallow foundation and aesthetic design, the HD2055 obviates the concerns of interference with buried pipes, power lines and fibre optic communication lines. The shallow foundation also reduces installation complexity, time, materials and corresponding costs. The HD2055 is ideally suited to high water table locations and areas with corrosive soils. It provides low maintenance as all components are accessible from the sides or top of the barrier. For increased security, the HD2055 leverages Delta Scientific’s proprietary counter-balanced technology to provide a 1.5 second emergency fast operation, thus responding to attacks very quickly indeed. Safetell, the physical security and asset protection specialist, has announced a preferred supplier agreement with Gunnebo encompassing its range of ballistic, blast resistant, interlocking doors and partitions. The products will complement Safetell’s existing range of ballistic, blast and attack-resistant products, ensuring they offer a broader range of solutions to meet the demands of specifiers who require a more diverse offering to keep up with the evolving threat posed by terrorists and criminals. Safetell works with both end users and facilities management specialists as a single point of contact, supplying both security products and nationwide security equipment support services. These support services are provided through a nationwide network of directly employed service technicians and Help Desk staff, giving cost savings and complete control over service quality throughout the supply chain. The Executive Committee of Borderpol is pleased to announce the appointment of Peter Vincent as the organisation’s director counselor for International Policy. Peter Vincent is the general counsel of Thomson Reuters Special Services LLC (TRSS), a US subsidiary of Thomson Reuters. Throughout his career, Vincent has served in a variety of senior executive and legal positions in both the public and private sectors. Prior to joining TRSS in February this year, he was the principal legal advisor for the US Department of Homeland Security (DHS), US Immigration and Customs Enforcement (ICE). In addition, he served as ICE’s senior counselor for International Policy, whereupon Vincent advised the DHS Office of the Secretary and the ICE Office of the Director on issues relating to the formulation and execution of the agency’s international diplomatic engagement. Prior to that, from November 2011 through until July 2013, Vincent served as the acting director of ICE’s Office of International Affairs (OIA), Homeland Security Investigations (HSI). With attachés in 75 offices across 48 countries, including seven combatant commands, HSI OIA is the largest international investigative component within DHS. From November 2006 until May 2009, Vincent served with the US Department of Justice (DoJ) at the US Embassy in Bogotá, Colombia, first as the assistant judicial attaché and then as the judicial attaché. There, he advised the DoJ, the US Department of State, the US Department of Defence and various law enforcement and intelligence-gathering agencies on matters concerning extradition, terrorist organisations, money laundering, mutual legal assistance and narco-trafficking. 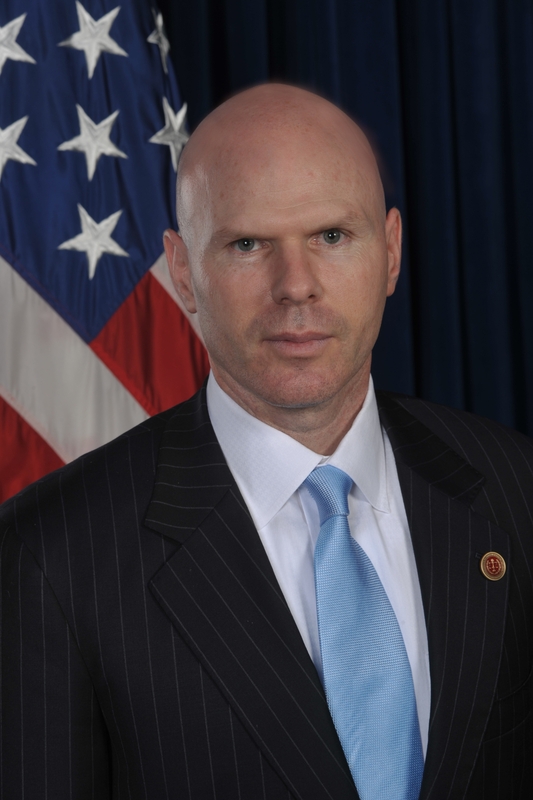 During his tenure at the US Embassy, Vincent co-ordinated nearly 500 extraditions to the United States, including the extradition requests for dozens of high-profile leaders of designated foreign terrorist organisations such as the Revolutionary Armed Forces of Colombia, the National Liberation Army and the United Self-Defense Forces of Colombia. In July 2002, Vincent joined the National Security Litigation Team in ICE’s San Francisco Office of the Chief Counsel. As a trial attorney, he represented the Government in immigration proceedings involving terrorists and individuals who had provided material support to foreign terrorist organisations. In addition, Vincent advised the local Joint Terrorism Task Force on issues relating to counter-terrorism and foreign counter-intelligence. Vincent graduated with High Distinction from the University of California at Berkeley with a Bachelor of Arts degree in Political Science and received a degree in law from the University of Virginia School of Law.